We are delighted to announce that Southern Fuel & Farm Supplies Ltd are now offering “Malting Barley Grower Contracts” to interested growers in Midleton and the general East Cork region. 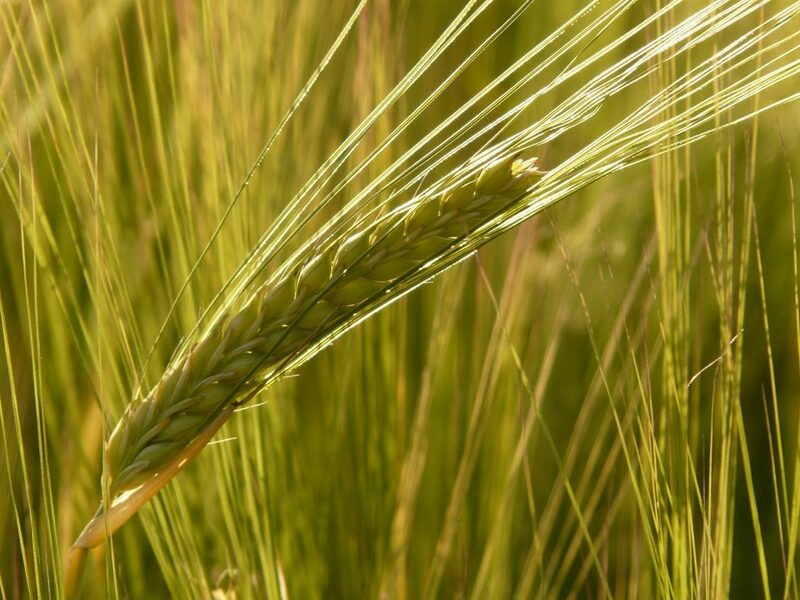 The Irish Farmers’ Association (IFA) and Boortmalt have agreed on a pricing deal for the current season’s malting barley crop. €2.75 million fodder production incentive announced for tillage farmers. The measure will be available to all tillage farmers, but it will only apply to land not already included under the GLAS Catch Crop Measure. Southern Fuel & Farm Supplies can help you with your fodder selection. Contact your local area rep or call in store. fertiliser to maximise grass growth and reduce the burden on purchased fodder and concentrates. this growth. Fertiliser provides an excellent return on investment. All advice below is subject to Soil test results, Nutrient Management Plan & Crop Offtake. 1. Do I need to use an NPK compound or straight N? 2. What level of Nitrogen do I need to apply this month? 3. Should I be using CAN or Urea? Both are equally effective as an N source. Urea will work well in current damp conditions. the N source in these conditions. 4. When are soil conditions suitable for fertiliser application? fields to apply fertiliser. Avoid application if heavy rainfall is forecast in the next 24-48 hours. 5. I did not get slurry out this spring, is it now too late? swards and then apply a light coat of slurry. Slurry is best retained for silage ground. 6. I have fertiliser out but have had heavy rain in the last 2 weeks, do I need to re-apply? nutrition an additional application may be required. 7. I have poached paddocks, how will I get them to recover quickly? 8. Spring application of potash? 9. Is sulphur of any benefit to me this early in the season? little and often approach for sulphur. 16 Units/acre over the grazing season. of next winter’s winter fodder. and delay second cut by 2 weeks. 1. What level of Nitrogen do I need for 1st cut silage? Generally allow 2 units/day from application date to cutting date. 2. Should I delay cutting to increase volume? 3. How will I increase silage made this summer to replenish my reserves? paddocks during the grazing season. 4. Is it too late for slurry on silage ground? 5. What level of P and K do I need for 1st cut? been applied reduce K to 60/70 units to avoid luxury uptake of Potash. 6. Silage ground has not been grazed, what should I do? Leave it closed up and fertilise as soon as possible and go for an early harvest date. 7. Do I need sulphur? 1. When is the best time to apply lime? limestone programme later in the season. Lime is essential to maximise the returns from fertiliser as shown in the graph below. Raising soil pH from 5.5 to 6.5 will increase the efficiency of fertiliser by >25%. 2. Can I spread urea after bulk lime application? Do not apply Urea within 3-6 months of bulk lime application. 3. Can I spread fertiliser after slurry application? Maintain a 1 week interval between slurry and fertiliser application. With the ending of quotas in April of this year, Cork is now poised to become the world’s fastest growing developed dairy region over the next decade, according to a new report. The report predicts increased dairy exports from Cork of €450 million by 2020 leading to 4,000 extra Cork jobs. A major new report launched today by Cork County Council and Cork Institute of Technology, authored by Declan O’Connor and Michael Keane, predicts that County Cork can anticipate a 50% increase in milk output by 2020. The report says this will be of enormous benefit for both the county and the country. It finds that Cork is very favourably positioned to take advantage of the excellent longer term international market prospects and the highly competitive position of Ireland and especially Cork in meeting global demand. It says this arises in the first instance from the expansion plans of Cork’s 4,500 dairy farmers who have a current average herd size of 70 cows and who produce over a quarter of the national milk output. According to the authors of the report while dairying has always been a major industry in Cork, expansion has been greatly curtailed over the past 30 years due to EU milk quotas. With the ending of quotas in April of this year, Cork is now poised to become the world’s fastest growing developed dairy region over the next decade, the report says. The report also identifies a number of threats which are outlined in the report, such as unfavourable weather, animal health, environmental issues, as well as scarcity of labour, capital and land for expanding farmers. “There is also the current worry of lower milk prices in 2015. While the latter is a major short-term concern, it is seen as part of the normal pattern of dairy commodity price volatility as previously occurred in 2009. “Just like six years ago this difficult period is expected to be short-term and the longer term market prospects are very favourable. The authors conclude that all of these threats are manageable and are not likely to unduly constrain the expected major expansion now underway,” it says. The Report says it will be very important, in order to fully realise Cork’s dairy potential, that all required links in the chain are fully in place. In that regard the report points out that it is vital that Cork’s physical infrastructure, such as the road network, water supplies, planning, energy and communications services are not neglected. Already the budget for investment in the vital road network has been greatly reduced and the rapid dairy expansion will result in greatly increased traffic in milk tankers, as well as animal feed, fertiliser, silage, slurry and other farm vehicles throughout the county. The report details the additional investment in the road network that is now necessary to avoid self-inflicted constraints that would inhibit the realisation of the great opportunity that lies ahead. The report highlights the need for an investment of €4.2m to 2020 for additional road maintenance and €1.5m per annum thereafter.